Ascending Butterfly: Think you've got the moves? Ideology by Macys DOUBLE Giveaway! (ARV $100) Ends 03/19 - 1 winner! Think you've got the moves? Ideology by Macys DOUBLE Giveaway! (ARV $100) Ends 03/19 - 1 winner! 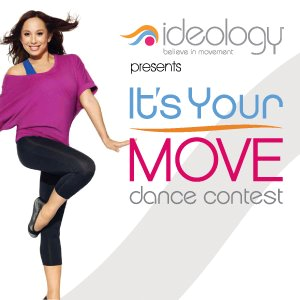 Macys Ideology It's Your Move Dance Video Contest! Back in December of 2011 I had the chance to attend the launch of Ideology, a premiere fitness line being sold at Macy's. I had a really great time learning all about Ideology and if you missed my original post with my impressions about the line and photos from the event, click HERE. What impressed me then before having the opportunity to actually try any of the pieces, is exactly what impresses me about them now after having had the opportunity to actually try them out, they are really cut with a woman's curves in mind. As many a trip to the gym will tell you, not all workout gear is flattering, not all workout gear actually flatters your figure. Macy's Ideology line of fitness gear actually works with a woman's natural curves and are figure flattering as well comfortable. The pattern on the racerback tanks actually makes your waist appear 'cinched in' a good way. Ladies, you can now work up a sweat, and still look totally hot doing so! Cheryl Burke, professional dancer and two time Dancing With The Stars Champion is the spokeswoman and face of the brand. Cheryl gets what it takes to make fitness clothes functional, they need to move with you, be comfortable, 'breathable', yet still trendy and fashionable. Ideology has that all on lock! Now I'm sure you are wondering why this is a DOUBLE giveaway post right? If you have moves, and are not afraid to bring it, then Macy's has got something special for you! I'm sure my Butterfly Fashionistas are already 'liking' Macy's on Facebook, but if you are aren't, this sure may be incentive enough for you to do so. You know those wonderful fitness goals you've been working on since New Years? They just might be about to pay off. Macy's is hosting an 'It's Your Move Dance Contest' on Facebook. Cheryl Burke will determine the grand prize winner, but 5 Fan Favorites will also have a chance to win great prizes. 1) Visit HERE on Facebook, then select a music track - You will be provided with 5 choices. Listen to each track and then decide which one you will use, download that track (no worries, it's a FREE download). 3) Upload your video + Fill out form and hit UPLOAD and you are good to go! But HURRY Butterflies your videos have to be uploaded by March 15th. A VIP trip to Los Angeles including round trip airfare and accomodations for 2, where you will be Cheryl Burke's special guests at a taping of a TV show and enjoy a $1,000 ideology shopping spree! From March 16-29th, you will have a chance to vote on the videos - the top 5 videos will be awarded a $250 Ideology Shopping Spree. I had the chance to try out the Sleeveless Striped Racerback Tank and the Ideology Pants Bootcut Leg Pull On, and find them super figure flattering and they make my work outs more fun and fashionable! Not a dancer? Not big on being on video? No worries, you don't leave here empty handed! I always take care of my butterflies! Macy's has a little something something for YOU too! One lucky butterfly will have the option of selecting ONE tank and ONE bottom from the Ideology collection and a Yoga Mat (size and color based on in stock availability)! Check out the rafflecopter widget below to get in your entries! I love to Salsa, & would LOVE to learn the Tango!! !